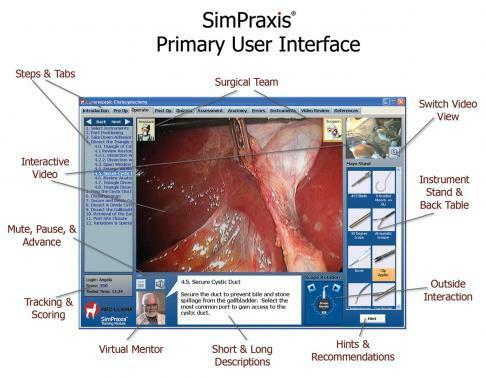 The SimPraxis interactive simulation software platform offers an easy, cost-saving, and engaging way to deliver training on new and existing medical procedures and devices quickly and directly to those who need it, when and where they need it. 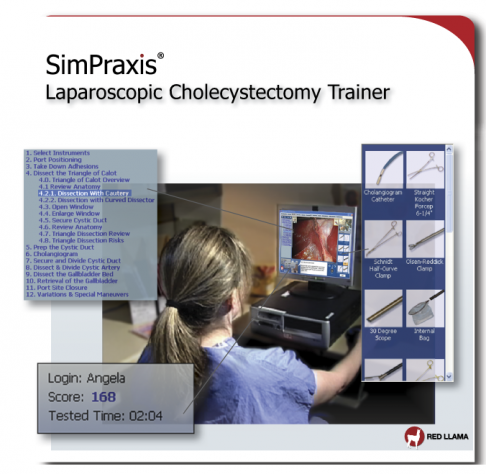 The self-paced SimPraxis Laparoscopic Trainers are a robust, elegant and engaging way to learn. These powerful training modules are designed to significantly advance the surgical knowledge, efficiency and competency of the surgical team and improve patient safety by dividing the entire procedure into a number of discrete, logical steps. The SimPraxis Laparoscopic Trainers are revolutionary cognitive interactive simulation software programs that run on a personal computer. They provide just-in-time training and rehearsal opportunities on the detailed steps performed and critical judgments made during the procedure. Minimum Requirements: Windows XP (with Service Pack 3); Pentium 4/2.0 GHz processor (or equiv. ); DVD-ROM drive; 3 GB available hard drive space; 2 GB RAM; audio output; Adobe Reader. Notice for Mac users: SimPraxis products have been successfully run on Intel-based Macs using both Parallels and VMWare virtual Windows machines. Orient the user to the roles of the surgeon and the assistant. Learn the specific steps of the procedure. Understand the required port placements. 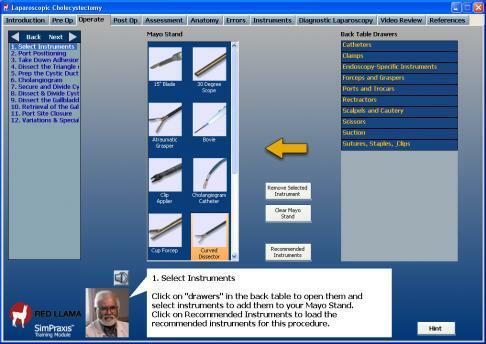 Become familiar with the necessary instruments. Master the key risks of the procedure.